you should let them go or just accept the way they are. on location to make your heirlooms looks as good as new. 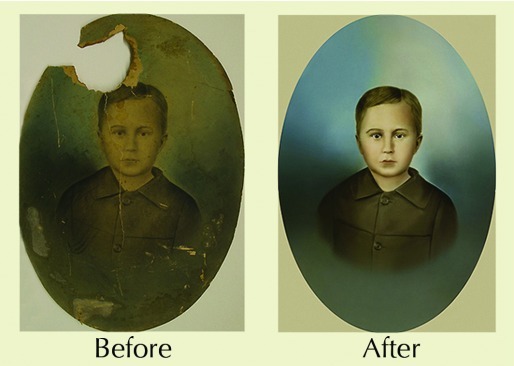 Even without a negative, Picture This can restore, resize, reprint and create a negative. We can add color, take scratches out or piece torn pieces together. Don't throw them away, bring them in or email for a quote. 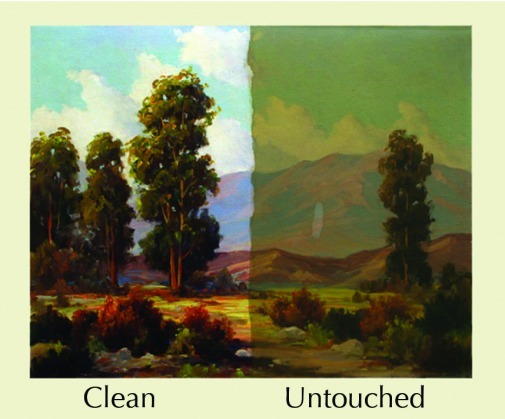 smoke or other elements that change original colors to a dull flat finish. A very delicate cleaning and re-varnishing process can bring it back to life.